This canvas combines the advantages of both mesh and PVC that creting effective results! This canvas is mainyly used by boat rental agencies that vouch its resistance. This is actually one of the most effective technical canvases that we offer! Combining the advantages of Mesh and PVC, it has seduced owners of cruise multihulls as much as boat rental agencies, who use this material to make the trampolines of their catamarans. It is also well suited for an outdoor use. 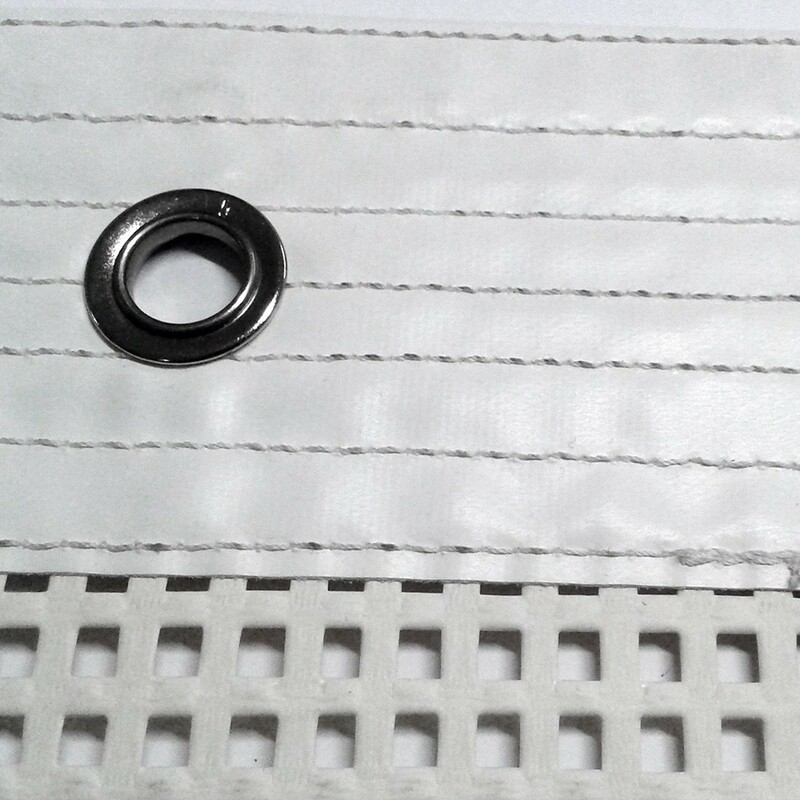 - 6.5 x 7 mm braided netting: Allowing an excellent permeability. This netting can also be used to place a made to measure sunbed that would be able to stay outside all year round. The braided netting has also proved to be very comfortable to create an open-air space. - 1670 DTex + PVC: The secret to its great resistance. The density of this material allows a heightened resistance to waves and to heavy weight! 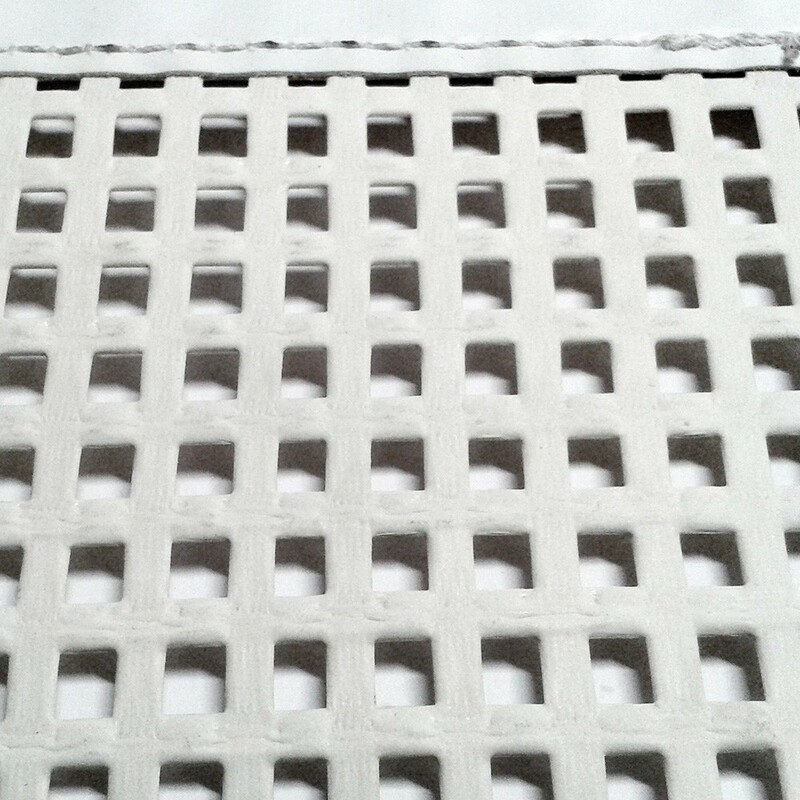 mesh is at the centre of the material, which is then coated with PVC. Logically, this canvas is slightly heavier than the MT392: 1000g/m² instead of 820g/m². - A high-density strip, welded straps and multiple stitchings allow for a reinforced border! This border can resist any tensions that this part of the canvas would endure, the edges, close to its bindings. -Sheath or high frequency welded eyelets: We adapt our fixation method by offering these options. The stainless-steel eyelets are placed every 150mm around the whole of the canvas. They resist to corrosion and salt. - UV treatment: No risks against prolonged sun exposure or reverberations! This canvas has had a treatment against UV rays. This canvas is made to measure, according to your measurements. A manufacturing delay of 3 to 4 weeks is required. Produit satifaisant ,on peux faire dormir les enfants sous petite tenté.